This is something that I have suspected for a while now; but there is hardly any literature on the Internet about the matter. 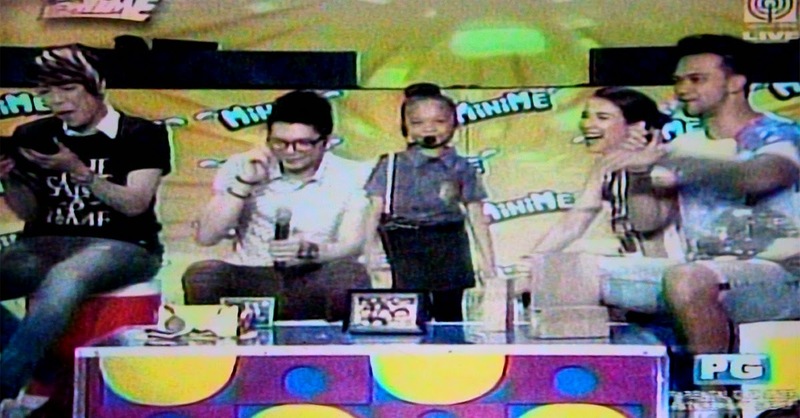 Today, Vice Ganda himself confirmed his Batangas roots on Showtime courtesy of a little girl contestant of the Mini-Me segment of the show. A few months back, in the Sine Mo ‘To segment of the same show, Vice was playing the role of a Batangueño. The punto (the accent) was without a doubt authentic. Everyone from these parts will always be able to tell if somebody from Manila is just trying to mimic the punto. It never quite turns out right. We just know. However, it is common knowledge that Vice went to FEU for his college education. The university is among the favourite destinations of high school graduates from this province. Vice carried on an impromptu conversation with the little girl’s mother because he was anxious to know where they are from. Where else? Mother and daughter, as it happened, are both from Taysan. Therefore, I could not rule out the possibility that Vice learned the accent from Batangueño friends while he was still in college. Faking the punto is one thing; but picking it up from being with Batangueños is another thing. The accent is quite, quite contagious. More recently, and still on Showtime, Vice made a quick reference to his father. “Eh ‘di ba Batangueño?” he quipped, referring to his late father. The obvious question then as far as I was concerned would be “from where?” The punto that he used with great authenticity months earlier was definitely Eastern Batangas, so this ruled out Western Batangas municipalities like Nasugbu and Balayan. This must all be so confusing to those not from around these parts; but believe me, we can tell. At any rate, on to the Internet I went; but there was only this one Facebook page of the municipality of Taysan (and I am not sure that it is even official) that claimed that Vice was from the town. Taysan is a small municipality on the outer fringes of the province and frankly, I have never been there myself. By and large, the Facebook page was a dead end. Until a few weeks back when a former player whose surname is Viceral – he is from the town of Rosario – posted pictures on Facebook of a visit with relatives in Taysan. Taysan is right next to Rosario, so it was a matter of connecting the dots. It is common knowledge that the ‘Vice’ of Vice Ganda is from the surname Viceral. So I asked this former player of mine if he was, by any chance, related to Vice Ganda. The boy himself did not really know; but his father did. It was the father who confirmed that he was the 3rd degree cousin of Vice Ganda’s late father; which makes my former player Vice’s 3rd degree cousin as well. What do you know? Small world! My former player’s father, in fact, remembers that Vice’s family used to live near the church in Taysan before they moved to Tondo, which is frequently where Vice says he grew up. I had been thinking of writing a piece on this for a while; but Vice himself pre-empted me by making the announcement on national television. Vice’s response was quick, “Yung tatay ko!” Then he proceeded to confirm that his late father, indeed, was from the Municipality of Taysan. I do not really think that a lot of people in the province know that Vice Ganda has Batangueño roots, especially since he frequently says on camera that he grew up in Tondo.